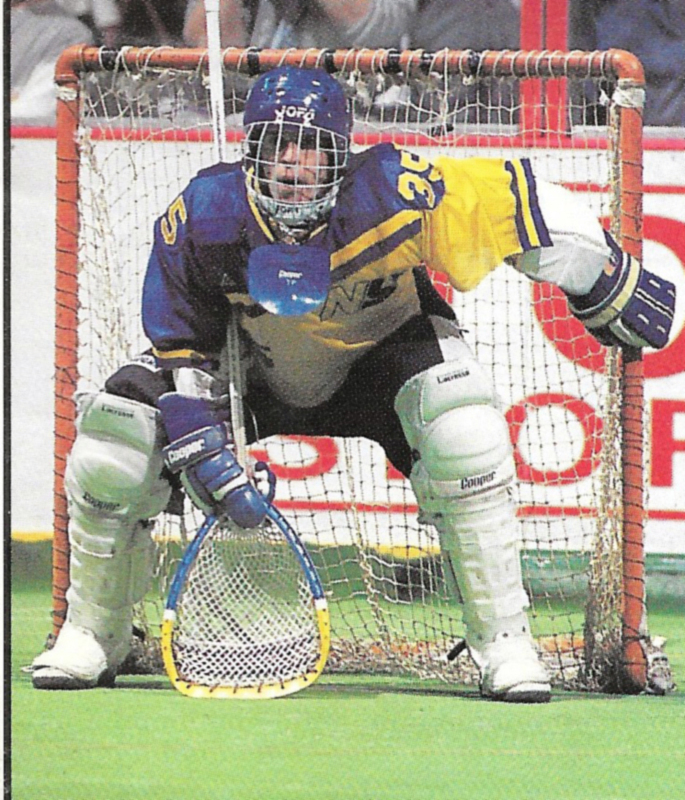 Officers of the Major Indoor Lacrosse League, Chris Fritz and Russ Cline, both agreed that 1989 was a pivotal year for their young sports league. 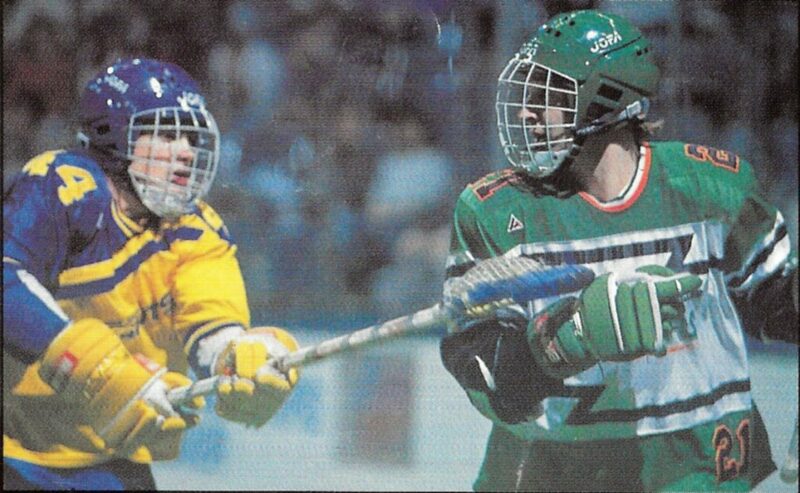 Cline remarked, “We have decided to take some major steps that will carry us through the 1989 season and into the 1990’s.” The MILL ex- panded for the first time in its three-year history to two new cities, moved one team to a new arena and lengthened its schedule to twenty-four regular season games. All proved to be very important moves in the MILL’s effort to become the nation’s fifth major sport. The Detroit Turbos began their inaugural season at the Joe Louis Arena on January 7, while the New England Blazers played their first home game at the Centrum in Worcester, Massachusetts, on January 21. 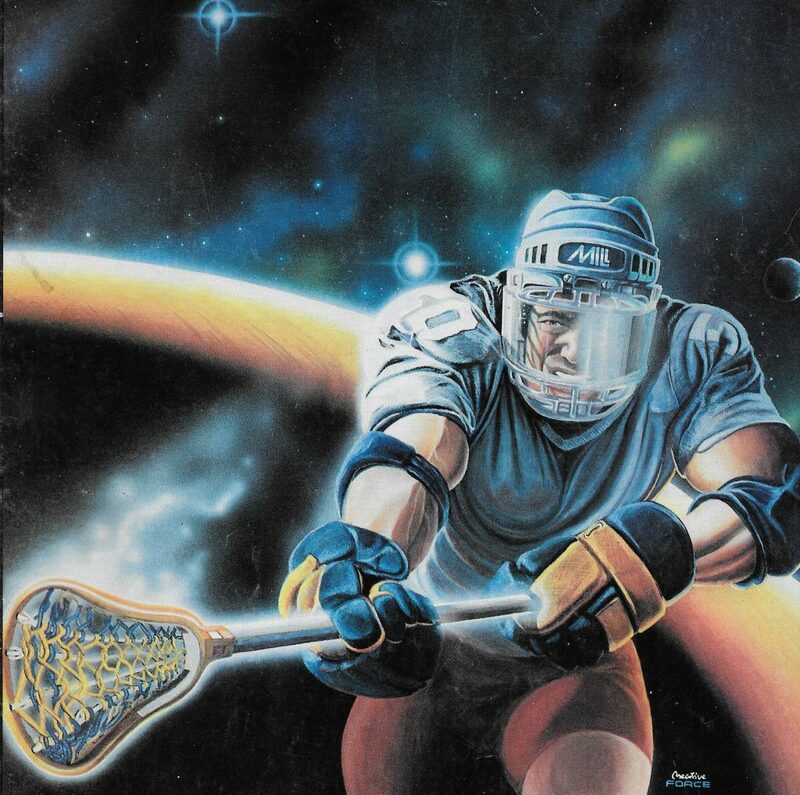 The move for the 1988 League Champion New Jersey Saints to New York and the Nassau Coliseum was also a first for the MILL, hoping to draw acceptance and support from lacrosse enthusiasts Long Island. 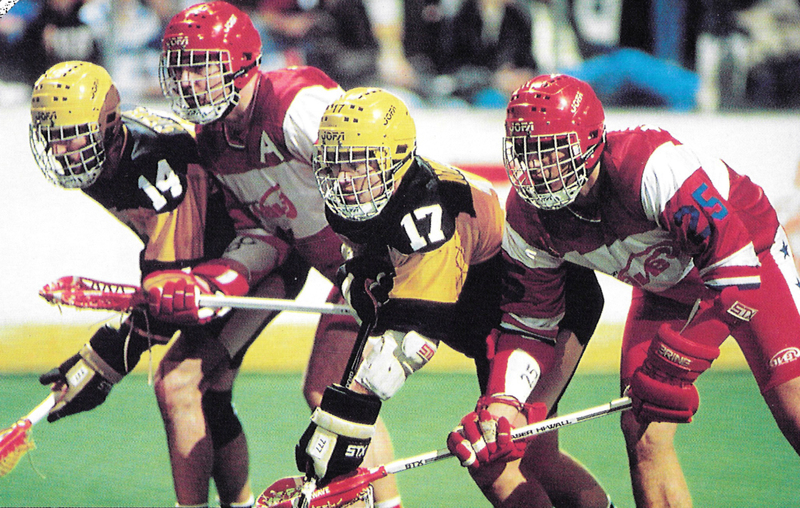 Two new arenas were ready to field MILL action and six teams hungry to battle for the 1989 North American Cup Championship during the third consecutive season of the Major Indoor Lacrosse League. 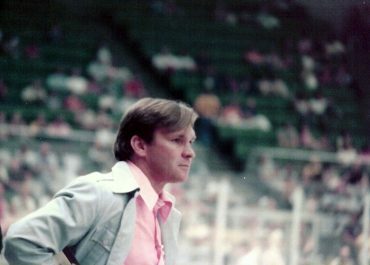 The 1989 season opened on January 7, as the Washington Wave traveled to Joe Louis Arena in downtown Detroit to play the Detroit Turbos. A record opening-day MILL crowd of 12,174 cheered their new est sports team to an 11-9 victory over the Wave. Turbos’ Head Coach Medo Martinello commented, “This was a huge win for us, we wanted to get off to a good start. The expansion New England team opened their season against the Philadelphia Wings before the MILL’s second largest single-game attendance record of 16,269 people at the Spectrum in Philadelphia. However, the Blazers, unlike the Turbos, lost their game by a score of 19-8 to a strong, high- scoring Wings team. The New York Saints opened their first year in the Nassau Coliseum on January 21 against the Baltimore Thunder in front of 9,000 people. The Saints lost the game to a much-improved Baltimore squad in a hard-fought 10-9 battle. The remainder of the January schedule had Baltimore, Philadelphia and Detroit winning again, New York and Washington grabbing their first wins and New England winless. The first month of play ended with Detroit in first place with a 3-0 record, Philadelphia in second at 2-1, New York and Baltimore tied with even won-loss records and Washington and New England at the bottom with 1-2 and 0-3 records. Unlike many other professional leagues, MILL road teams dominated play and finished the January schedule with an above average 5-4 record. League President Chris Fritz spoke about the early play of the League, “The League has great parity where any team can win on any given night. We have six excellent coaching staffs—and six highly competitive teams. MILL action flourished in the month of February with eight scheduled games. The month should have been labeled the “Philadelphia and New York Show” as seven of the eight games were won by either the Wings or Saints. 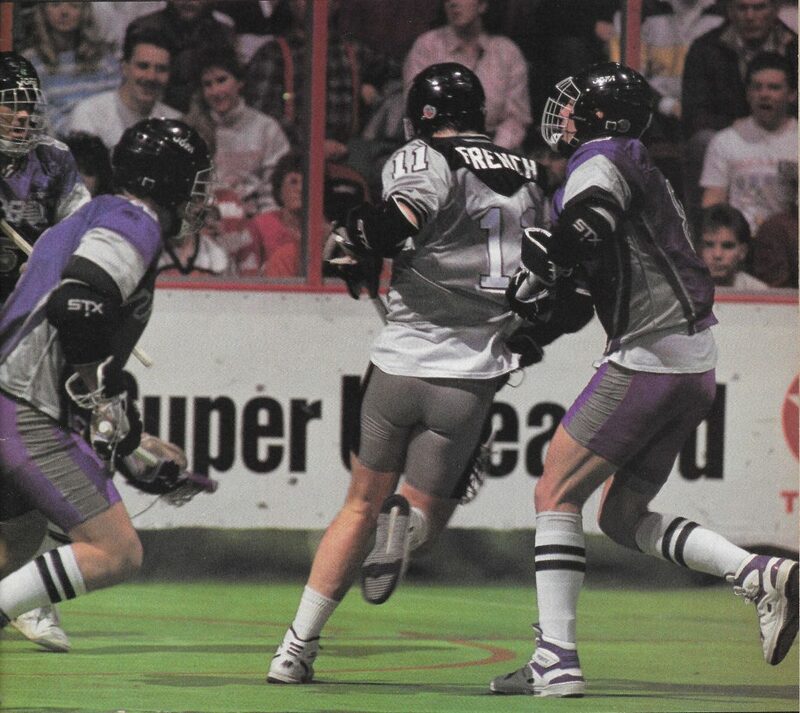 The lone exception occurred February 18, when the Baltimore Thunder beat the New England Blazers 15-9. February’s action opened with a thrilling one-point sudden death victory in Baltimore as the New York Saints won their second consecutive game beating the Thunder 12-11, dropping the Thunder to 2-3. Weekends two and three had the high-scoring Philadelphia Wings dominating their three opponents and outscoring them 49-30. The Baltimore Thunder (14- 9), New England Blazers (16-11) and eventual playoff contender Detroit Turbos (19-10) were all victims during this streak which vaulted the Wings into first-place with the League’s best record of 5-1. The New York Saints also dominated their opponents, bettering their record to 5-1 and moved into a first-place tie with the Wings. The Saints defeated the Washington Wave 15-9 at home and 13-10 on the road. 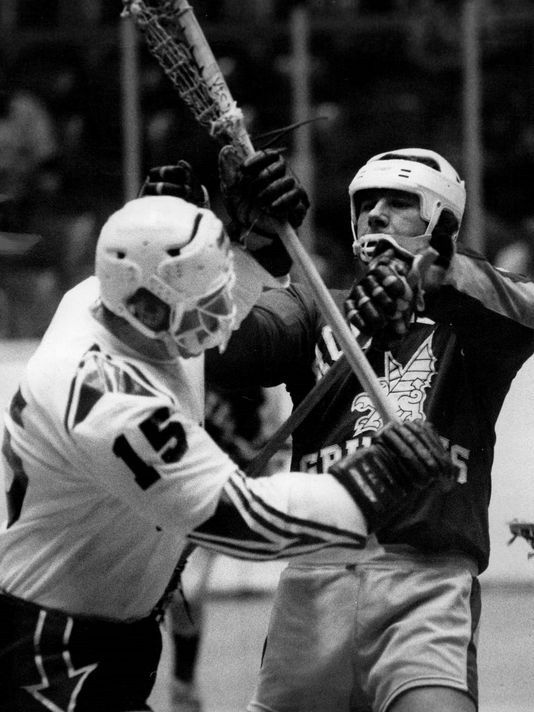 The Saints also handed the Turbos their first home loss by a score of 13-9 in front of a 1989 MILL/Joe Louis Arena record crowd of 14,031 people. For the first time ever, League officials were forced to resort to their tie-breaking procedures to determine who would host the League Playoff and Championship games. Based on the League’s Tiebreaking Procedure #3 (greatest point differential between goals scored and goals scored against them during the entire season), Philadelphia was awarded the regular season championship and the right to host the North American Championship game. New York and Detroit, therefore, had to compete in a playoff game to determine who would play the Wings at the Spectrum on April 7. 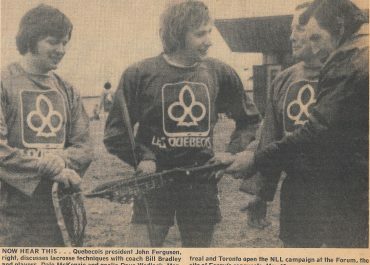 Using another tiebreaking rule, the Turbos were awarded the right to host the game because they outscored the Saints by one goal (25-24) in head-to-head competition during the regular season. The playoff game was held on Saturday, April 1, at Joe Louis Arena. The day (April Fools Day) nearly held its name for the MILL as New York’s uniforms were temporarily misplaced and not shipped to Detroit with the team. The uniforms were delivered promptly and the game started without delay. The minor setback may have interrupted the Saints as they fell behind the Turbos 6-3 at halftime. How- ever, the second half became a different story as the Saints tightened the score to 7- 5 at the end of the third quarter and tied it at 8 at the end of regulation play. The game went into the overtime to make it the first overtime playoff game in the MILL’s short history. The crowd of 8,300+ was entertained for an entire five-minute overtime by the two evenly matched teams who had numerous scoring opportunities, but failed to score a goal. The Turbos magical season ended in the second overtime as the Saints’ three-year veteran, Jeff Goldberg. scored the winning goal for a sudden-death 9-8 New York victory. As a sporting gesture, Detroit fans applauded as both teams shook hands and left the Joe Louis battlefield. Detroit’s General Manager, Wayne Martinello, summarized the event after the game, “Detroit sports fans are some of the best in the world; they appreciate their teams as well as good, hard competition. Even though we lost, tonight was a historical Detroit sporting event. ” The Saints had now earned the opportunity to defend their 1988 Championship against the 1989 regular-season champion Philadelphia Wings. 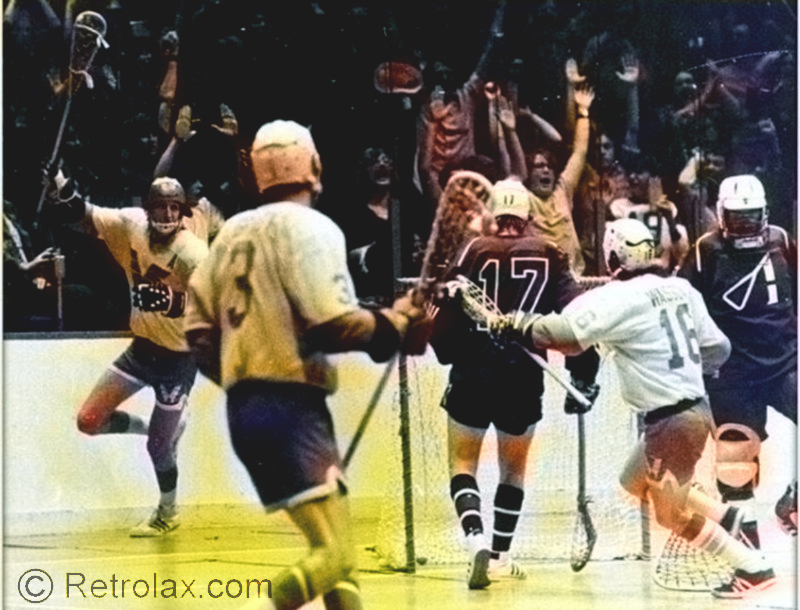 The 1989 Major Indoor Lacrosse League Championship game was played one week later on Friday, April 7, at the Spectrum. The Wings entered the game well-rested after a two-week layoff, while the Saints were confident from a valiant road victory in Detroit. 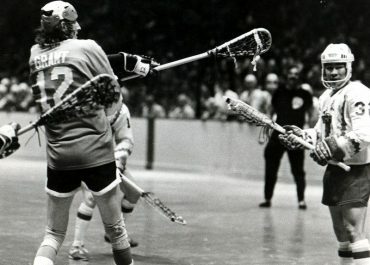 The two teams met once during the regular season when the Saints won a high-scoring indoor lacrosse shoot-out 20- 16 at the Nassau Coliseum. However, this time the game was on the Wing’s home turf. The game started close as the Wings held a one point lead 3-2 at halftime. The Wings then opened a 7-4 lead at halftime as the game started to resemble the Play- off game when the visiting Saints fell behind early. The two teams played the third quarter evenly as they each scored three goals a piece as the score at the end of three quarters was 10-7 in favor of the s. However, the Saints thought differ- ent and fought to within one goal, 10-9, with just over eleven minutes to play. The Wings then scored what would be their winning goal of the game to make the score 11-9 with nine minutes left. Wings’ goalie, Kevin Bilger, took charge for the next eight minutes and did not allow a goal until the Saints’ Don Borges scored with only one minute and twenty-two seconds to play. 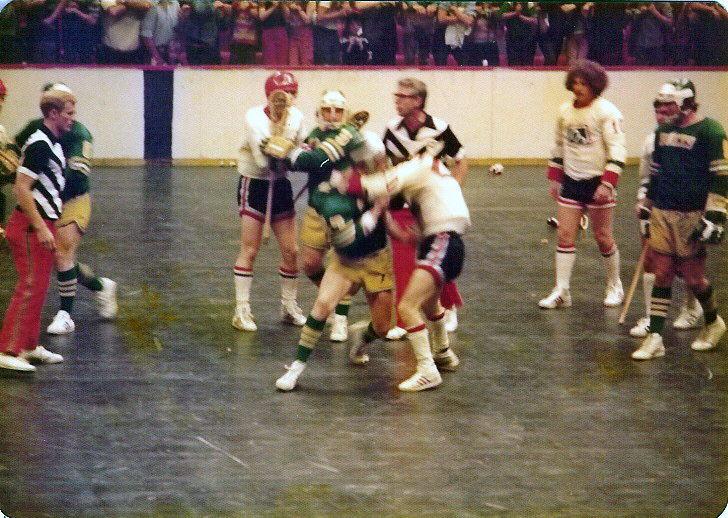 The Wings won the ensuing face- off and attempted to “freeze” the ball until it was stolen by the Saints’ Vinnie Sombrotto and passed to John Driscoll who had a one-on-one breakaway to tie the game with “three-fleeting-seconds” to play. Driscoll fired, the shot was blocked by Bilger! 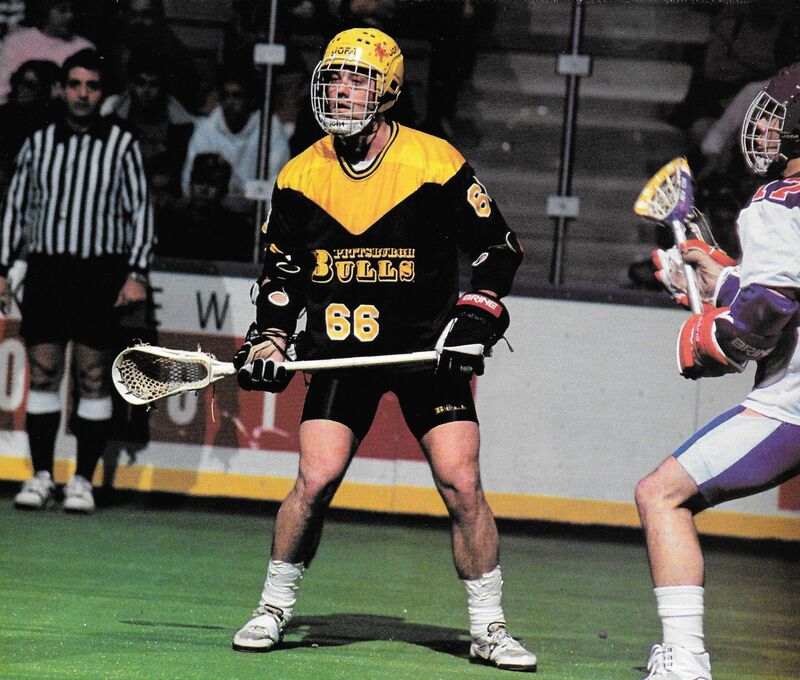 The buzzer sounded and the Wings had won the 1989 Major Indoor Lacrosse League Championship. A tremendous finish for a successful year for the MILL. As in Detroit, fans applauded the visiting Saints for a job well done as they were presented the League’s second-place trophy. This night belonged to the Wings and the city of Philadelphia. As League President Chris Fritz shouted during the post- game festivities, “This trophy (pointing to the North American Cup) belongs to you, Philadelphia. 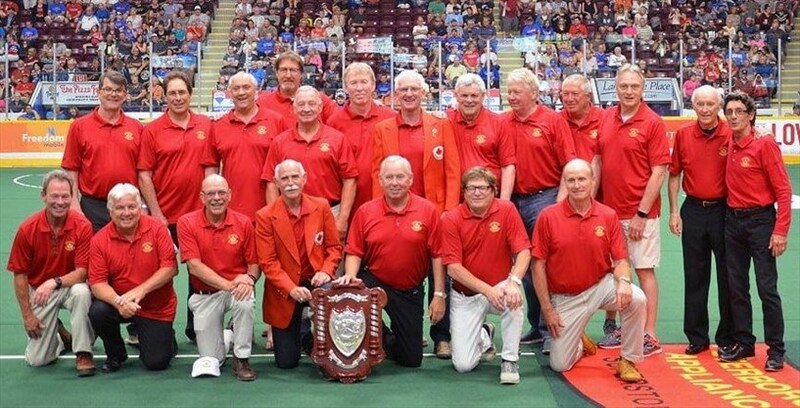 It’s been a long three years for the Wings, but this trophy now belongs to you,” the crowd continued to cheer in appreciation for their Wings’ first-ever Major Indoor Lacrosse League Championship. 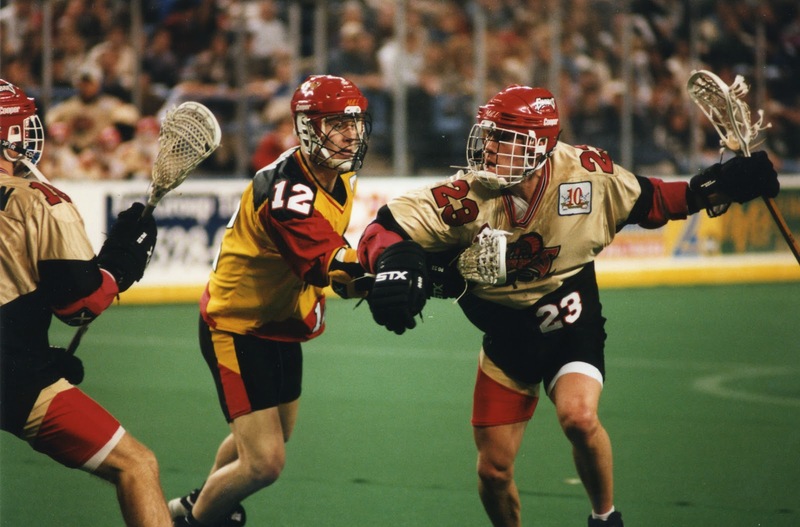 The Major Indoor Lacrosse League was busy over the summer months as exciting changes were made for the League’s 1990 season. 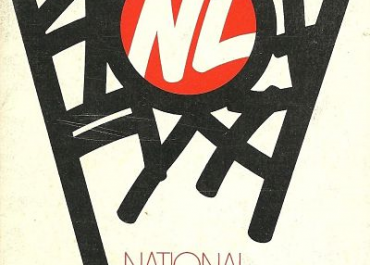 First, the League decided to close the Washington Wave team and chose the Baltimore Thunder to represent both the Baltimore and Washington metropolitan areas.. Second, the MILL opened the League’s third expansion team in Pittsburgh. The Bulls will compete in the Civic Arena in downtown Pittsburgh and will feature a blend of former Wave players and promising rookies. Haswell Franklin takes the reigns as the Bulls’ General Manager and Dennis Wey is the team’s Head Coach. The remaining four teams in Detroit, New England, New York and Philadelphia have become stronger with off-season draft picks and veteran trades. The MILL’s off-season changes, college drafts and trades will make the 1990 season the best ever.